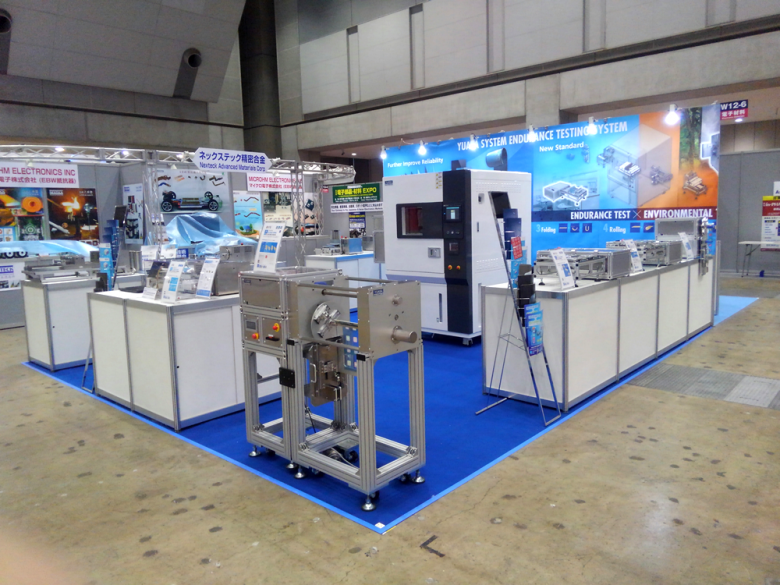 Thank you for visiting our booth at NEPCON Japan 2017. We really appreciate to visit our booth at “NEPCON Japan 2017” during Jan. 18th -20th at Tokyo Big Sight. First 2 days it was good weather, but the last days it was not so good. Nevertheless so many people dropped in on our booth. We enjoyed talking about the importance of endurance test and the trend with many customers. Thank you again. We suggested the endurance testing system corresponding complicated motion such as wearable products, although endurance test of next generation flexible device is demanded the motion same as usage of products.